Telling [them], Go into the village yonder; there, as you go in, you will find a donkey’s colt tied, on which no man has ever yet sat. Loose it and bring [it here]. If anybody asks you, Why are you untying [it]? you shall say this: Because the Lord has need of it. So those who were sent went away and found it [just] as He had told them. And as they were loosening the colt, its owners said to them, Why are you untying the colt? And they said, The Lord has need of it. And they brought it to Jesus; then they threw their garments over the colt and set Jesus upon it. And as He rode along, the people kept spreading their garments on the road. 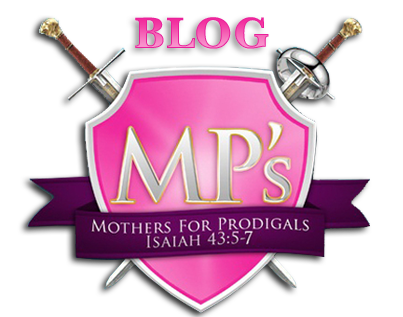 Crying, Blessed (celebrated with praises) is the King Who comes in the name of the Lord! Peace in heaven [freedom there from all the distresses that are experienced as the result of sin] and glory (majesty and splendor) in the highest [heaven]! And some of the Pharisees from the throng said to Jesus, Teacher, reprove Your disciples! He replied, I tell you that if these keep silent, the very stones will cry out. Creation knew its Savior God approached. Praises to God instinctively issued from the hearts of people. Their lips uttered worship to the One their hearts knew to be the Almighty King. After all, every human being was created in the image of the Godhead—Father, Son, and Holy Spirit (Genesis 1:26-27). Only rebellion against the truth caused some to desire to quiet the masses. Those bystanders who praised Jesus as He approached Jerusalem on a donkey couldn’t hold back their songs of joy. They had experienced the miracles of God through Jesus. They had experienced the gracious love of God through Jesus. They had experienced the peace of God through Jesus and now they paid tribute to Him. Their worship came from a heartfelt desire to obey the Sovereign God. But those other observers selfishly wanted to control the situation and suppress the move of the Spirit. They wanted the order of things done the “right” way. They wanted the order of things done as it had always been done. They wanted the order of things done their way so they rebelled against God’s way, against God Himself in the Person of Jesus. Their resistance came from a sinful desire to oppose the Sovereign God. Jesus reminded the naysayers that His creation, the very stones of earth, would cry out if His followers didn’t praise Him. Yet His followers knew Him as He knew them and they had to cry out (John 10:22-30). Have you ever experienced God in such a pure way that you simply had to shout out your praises to Him? Or have you experienced such harshness of life that all you wanted to do was oppose Him and yell at Him? Jesus gave His life for you and me. He made a covenant with mankind that only He could keep. When the time was right, He stepped in our place and carried our sins to the cross, sacrificing His very breath and shedding His precious blood. But death did not defeat Him—He victoriously conquered it. He arose from the dead, later showing Himself to some of His followers. Can you imagine the emotions they felt? Did they cry out with the rest of creation? Yes, they did. The stones were rolled away, exposing an empty tomb. The women who brought spices to anoint the body of Jesus were filled with astonishment at finding an angel telling of His resurrection. As they walked away from the tomb, Jesus met them and they fell down in worship. 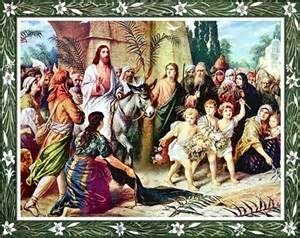 Trembling in fear and great joy, the witnesses ran to tell the disciples what they had seen. God’s people joined creation in praising their risen Savior Jesus Christ. Blessed is the King who comes in the name of the Lord! He’s alive—the mighty Conqueror defeated death. Jesus is risen! He is risen indeed! Hosanna in the highest! So they left the tomb hastily with fear and great joy and ran to tell the disciples. And as they went, behold, Jesus met them and said, Hail (greetings)! And they went up to Him and clasped His feet and worshiped Him. And when the Sabbath was past [that is, after the sun had set], Mary Magdalene, and Mary [the mother] of James, and Salome purchased sweet-smelling spices, so that they might go and anoint [Jesus’ body]. And very early on the first day of the week they came to the tomb; [by then] the sun had risen. And they said to one another, Who will roll back the stone for us out of [the groove across the floor at] the door of the tomb? And when they looked up, they [distinctly] saw that the stone was already rolled back, for it was very large. And going into the tomb, they saw a young man sitting [there] on the right [side], clothed in a long, stately, sweeping] robe of white, and they were utterly amazed and struck with terror. That the Son of Man must be given over into the hands of sinful men (men whose way or nature is to act in opposition to God) and be crucified and on the third day rise [from death]. Overcome with grief, He fell to the ground in a garden called Gethsemane. Distress, anxiety, fear—Jesus experienced human feelings before His appointed death. His tears, His sweat, His blood poured forth, salting the earth. Our Lord’s significant season of purpose lay before Him, but this plan of salvation originated in another garden named Eden. God’s created ones turned away from His direction, selecting a selfish way. Sin entered into God’s beautiful creation in the garden of Eden as Adam and Eve chose poorly. Even though God expelled man and woman from the lust garden, He immediately devised a plan of deliverance to be fulfilled at the right time and place for all of sinful mankind (Genesis 3). And God continued to remind His people of His perfect plan throughout the years. After Noah and his family were saved from the devastation of the flood, God sent His promise of faithfulness in the form of a rainbow. The bow, a sign of the covenant visible to all of creation, reminded God of His purposed plan of trust (Genesis 6-9). Even though a covenant is a pact between two parties, God knew His people would struggle to keep their portion of the agreement so He pledged Himself to man, taking the weight upon Himself. And God continued to remind His people of His faithfulness throughout the years. History discloses numerous treaties between nations and pledges between individuals. Scripture reveals examples of covenants between God and man. In the Ancient Middle East in the cutting of a covenant, the sacrificial ceremony of cutting animals in two was performed to demonstrate what would happen to anyone failing to uphold their end of the bargain. A treaty, a pledge, a covenant was binding and to cut covenant meant to shed blood. All parties involved in an agreement understood the arrangement would be honored at the expense of their own lives. After offering land to the nomad Abram (later known as Abraham), God went a step further and purposed to cut a covenant with him. Abram prepared the sacrifices of animals and birds as God instructed, cutting the animals in two and leaving the birds in tact. The sun then went down and Abram fell into a deep sleep of terror and great darkness. He watched as God, symbolized as a smoking oven and flaming torch, cut the covenant or passed through the pieces. Only God entered the covenant, requiring nothing from Abraham (Genesis 15:9-21). He planned to abide by the covenant and eventually die in the place of His creation because He knew they wouldn’t uphold the covenant. And God continued to remind His people of His plan of salvation throughout the years. Down through the ages God continued to watch over His people Israel. Eventually He made a covenant with King David, promising his seed would sit upon his throne, ruling as king over an everlasting Kingdom. He gave the rule over Israel forever to David and his descendants by a covenant of salt (2 Chronicles 13:5). Because salt had an enduring quality, Middle Eastern ceremonies used salt to seal treaties or agreements. Treaties issued from the hope of trust, so to give someone your salt signaled trust. God’s covenant of salt with David meant God was trustworthy and David’s descendants would sit on his throne forever (2 Samuel 7). 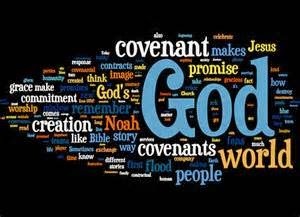 And God continued to remind His people of His everlasting covenant throughout the years. And God’s favored creation, His people, continued to violate the covenant throughout the years. Even while God remained faithful, human hearts embraced sin, turning away from the covenant and searching for security in anything but Him. Something had to be done about their transgressions—someone would have to die. As He prayed in the Garden of Gethsemane, Jesus knew the time to fulfill the plan of salvation drew near. The divine human living life like us would experience all of our pain and sorrow. The world’s wretchedness would be laid upon His shoulders. Jesus would die in our place. Of course, He suffered anguish. So He prayed to His Father for strength while salt poured forth from the fluids of His body (Matthew 26). Our loving Savior willingly resolved to lay down His life for us—a trustworthy sacrifice offered to complete the covenant of salt. Immediately after His prayer of surrender, the Lord Jesus Christ arose in confidence, believing His future rested in the hands of His Heavenly Father. Turning His thoughts away from His terrifying surroundings, Jesus gazed into the loving heart of His Father, faithfully committing to the salvation plan. Time to fulfill prophecy! As He journeyed to His execution, beaten, bloodied, and bruised, Jesus carried the sins of the world (yours and mine) upon His back while also carrying His own cross (eventually Simon of Cyrene helped Him carry the crossbeam because of His failing strength and severe wounds). The sacrificial Lamb of God offered up His own body and shed His blood for you and me, and salt poured from His wounds. Truly His death exemplified a gracious God devoted to His people. This covenant-making, covenant-keeping God proved His faithfulness. 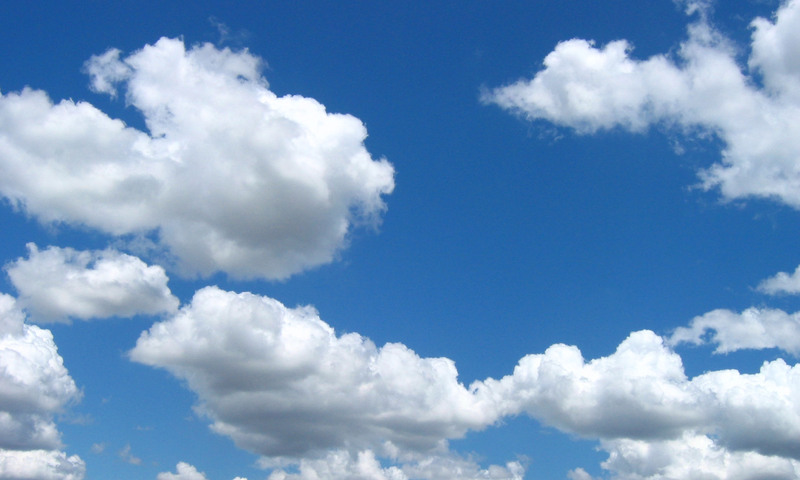 Do you have moments of doubt about God? Where do you place your focus when times are good, when times are bad—life’s situations or God’s love and grace? Do you struggle with faith in Almighty God? So did a father who brought his demon-possessed son to Jesus. For years, the father watched his son thrash about and suffer injury due to an unclean spirit that inhabited him. Hearing about the words and works of Jesus, he went looking for a miracle. A great commotion arose when Jesus’ disciples could not help the man and his son. Seeing the disturbance, Jesus asked what was going on. The man answered Jesus, “Teacher, I brought You my son, who has a mute spirit.” And he proceeded to explain his son’s episodes, telling Jesus that His disciples couldn’t help him. Doubts? Yes, we all struggle with them, even as we try to believe. But why? Why doubt the Sovereign Lord? Let’s review the truth while working on faith. The Almighty God created us for relationship (Genesis 3:8, Colossians 1:16). When the relationship was crippled due to human sin, God established a plan to restore the bond (Genesis 3:15). He planned the sacrifice of His only Son where on a horrible cross the Lord’s righteousness was exchanged for our sinfulness. Jesus died to save us from our own destructions and made a way for us to enjoy life on earth and life in heaven through a repaired relationship to God (Amos 9:11, Zephaniah 3:9, John 3:16-17, 2 Corinthians 13:11)). 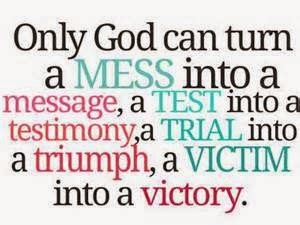 He now sits at the right hand of Father God interceding for us and offering His Holy Spirit to daily strengthen us in His peace (Romans 8:26-27, 8:34, 15:13). Are you still struggling with doubts? Meditate on the Word of God and ask yourself if you are focused on Jesus who is the Way, Truth, and Life or focused on your way, your truth, and your life. Be intentional with your belief (2 Thessalonians 2:13). Be trusting of Him who guards your heart and mind (Philippians 4:7). Be still and know that He is God (Psalm 46:10). Do you trust in God’s promises for you and your loved ones? Or are you skeptical about the reality of His loving grace? Do you wonder if He listens to your cries of mercy? If you’re standing at the crossroads of doubt and faith, which path will you choose to follow? Consider the dashed hopes of Jesus’ disciples after His crucifixion and death. Were they plagued with doubts about the promises He made while alive? Or did they cling to some expectancy of fulfillment, even after His death? 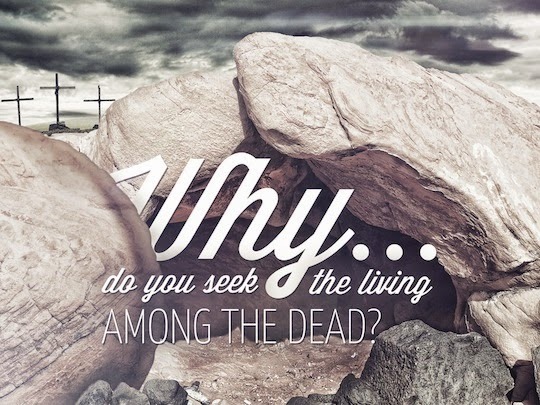 If you had been one of His followers, what feelings would have concerned you when He was laid in the tomb? Now imagine hearing that Jesus had risen from the dead. Reflect on the disciples’ thoughts when several woman returned from His tomb with news of seeing Jesus alive. Confusion? Shock? Disbelief? A faint memory of His words coming true? Would you believe the reports of His resurrection or would you have to see to believe? The eleven disciples and others gathered with them in Jerusalem had a difficult time believing the women’s account of Jesus’ resurrection until He stood in their midst. His greetings of peace only startled them more. He said, “Why are you troubled, and why do doubts arise in your hearts? See My hands and My feet, that it is I Myself; touch Me and see, for a spirit does not have flesh and bones as you see that I have” (Luke 24). When Jesus showed them His hands and feet, their disbelief began to change. He told them His Heavenly Father had sent Him into the world to witness of God’s love. He then breathed on them, saying, “Receive the Holy Spirit.” Suddenly questions converted into answers—doubt transformed into faith. Soon He would send them out to testify about their beliefs and observations. But one of the disciples named Thomas wasn’t with them when Jesus appeared to His group of followers. Naturally when several disciples told Thomas they had seen the risen Lord, he struggled to believe what he heard. He doubted them and demanded proof. Jesus answered him, saying, “Thomas, because you have seen Me, you have believed. Blessed are those who have not seen, and have yet believed” (John 20). Thomas’ doubted until physical proof changed his thinking. Many of us also demand evidence before we will believe anything. 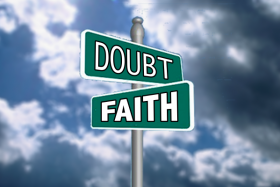 Are you a “doubting Thomas” or do you believe in the works of our risen Lord God? Do you need affirmation or do you trust Jesus no matter what? Is your faith strong enough to hope in things not seen (Hebrews 11:1)? Peter, Thomas, you, and me—all have wrestled with faith at times, especially when focused on circumstantial evidence. We try not to doubt, but still we strive with those thoughts of unbelief. How can we trust Jesus, the Word of God? We must purposely place our focus on Jesus Christ. Trust the truth of His holy Word and receive His Holy Spirit. Even when doubts assail us, our hearts and minds will be guarded by the Lord God Almighty. Are you a skeptic? Do you have misgivings about certain beliefs? Do you have doubts about God’s presence in your life? Are you wondering if He hears your prayers or if He even exists? If you answered “yes” to any or all of those questions, you’re not alone. I would venture to say that every person on the planet has experienced uncertainty about God at some point in their lives. Does it ever stop? When do we become confident in our beliefs? Over the next few weeks, we will examine several Biblical examples of indecisive people who encountered a moment of truth and chose to believe. Hopefully their decisions will help us uncover our own doubts and discover a new found trust in Almighty God. Peter, one of Jesus’ twelve disciples and also part of His inner circle, witnessed growing crowds choosing to follow the Lord. As they all journeyed on the “freedom” mission, more and more people accompanied them. Among the multitudes, Peter heard Jesus speak about the gospel of the Kingdom of God and he observed many miracles. He even watched as Jesus multiplied five loaves and two fish to feed thousands. Incredibly twelve baskets were filled with leftovers. Did witnessing these events ground His faith in Jesus the Christ? Or was it possible that arrogance filled his heart as he noticed their group’s popularity rise? Whatever the case, he learned a valuable lesson one night when a storm took him down. After feeding five thousand people, Jesus put His disciples in a boat and told them to cross the Sea of Galilee where He would join them later. He needed some alone time in prayer with His Heavenly Father. When He finally chose to join them, He traveled by foot on top of the sea. 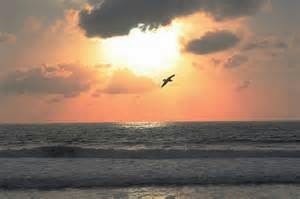 Yes, Jesus walked on water, actually turbulent water, while the wind and waves pitched and plunged objects on the sea. Why did Peter doubt? He had witnessed miracle after miracle—he walked with Jesus, for goodness sake. Like us, he kept looking at his circumstances and the situations around him instead of fully focusing on Jesus. He continually wavered with indecision about his beliefs. Not until after Jesus died, arose, and ascended back to heaven did Peter truly stand firm on the Word of God. (Read Acts 2-3.) When God’s Holy Spirit entered him on the day of Pentecost, he never dithered with his faith anymore. Fear and doubt never again hindered him. He courageously delivered the truth of God’s Word until his dying breath, which took place on a cross as he hung upside down. Are you vacillating with your faith in Jesus? Are you drowning in a sea of uncertainty? Have you experienced moments of clarity and truth about God Almighty only to be afflicted seconds later with distrust and doubt about Him? Where is your focus? Purposely place your focus on Jesus Christ. Trust the truth of His holy Word. Even when doubts assail you, your heart and mind will be guarded by God.